In order to meet the increasingly varied and sophisticated needs of customers, we must provide a constant stream of products and services with higher added value through innovation. This kind of innovation can be achieved through dynamic activities that bring diverse perspectives and knowledge bases into play. To actualize this, it is essential to create a diversity-driven, productive workplace where employees from many cultures can perform at their full capacity while also leading fulfilling lives away from their work and career. In line with this concept, Ricoh actively promotes workforce diversity and work-life management as key management strategies. Since the 2000s, Ricoh has implemented initiatives to improve employee awareness and foster a corporate culture that focuses on promoting workforce diversity as well as supporting better work-life balance and improved working styles. Specific measures for managers include adding new criteria to the 360 degree evaluation to confirm impartial treatment for subordinate development irrespective of gender or age. Also, Diversity & Work-Life Management Seminars have been held to raise the awareness of managers and change their attitudes. 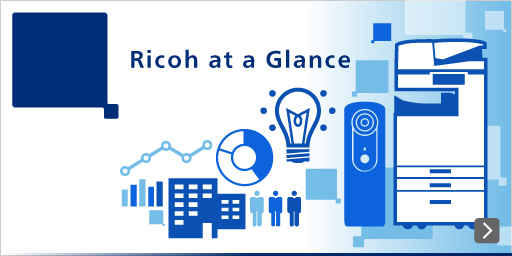 For employees of all levels, the “Diversity and Work-Life Management“ webpage was launched on the corporate portal site to provide information about Ricoh's principles, the direction Ricoh intends to take, and specific examples of current efforts. To make these efforts more effective, employee awareness surveys focusing exclusively on work-life management were conducted with the aim of making these systems better known, improving employee awareness, and understanding employee needs regarding this theme. To support employee work-life balance, Ricoh introduced childcare leave and shorter working hour programs in 1990, even before the enactment of the Child Care Leave Law. These programs have been enhanced as appropriate to respond to the changing needs of employees. The childcare leave program is applicable to employees with children aged two and under, offering up to 10 days of paid leave to employees who return to work within three months of the birth of their child. The shorter working hour program, applicable until the children of eligible employees complete third grade at elementary school, provides three options for working hours and nine for starting times, offering a total of 27 different work time patterns to choose from to best meet the needs of individual lifestyles. A database site with the title “Employee Support Program Handbook,“ available on the corporate intranet, provides a wide range of information, including how to use these programs and reports from male employees who use them. Employees on childcare leave are also permitted to access the corporate intranet while they are away to enable them to keep their knowledge up to date and thereby alleviate any anxiety over returning to work. In addition, in order to assure a successful return to work, the company has prepared guidebooks that describe the relevant programs in detail and distributes copies to supervisors and program users, with a view to building a better understanding of the support programs across the entire workplace and promoting smoother communication in this area. The utilization rate of these childcare support programs by female employees as well as the percentage of mothers returning to work from childcare leave have both reached almost 100%. This figure indicates that our continued efforts over more than two decades have steadily taken effect to significantly increase employee awareness and provide the systems with a solid foundation. The Career Recovery Program introduced in 2003 was revised so that the performance appraisal result of employees during their (childcare) leave would not adversely affect their prospects for promotion. After the revision, in making decisions on the promotion of employees, performance appraisal results from both before and after (childcare) leave must be taken into account. This revision has allowed those returning from a leave of absence to be promoted soon after their return. In particular, coupled with the partial introduction of paid childcare leave (up to 10 days within a less-than-three-month period), the change has helped increase the number of male employees who take childcare leave in recent years. These actions taken over many years have led to a decrease in the number of female employees leaving the company. Also, the average length of service for female employees has recently increased significantly to nearly match the figure for male employees. Ricoh actively works to reduce total working hours through reforming workplace attitudes and establishing organizational systems. Seeking to change work attitudes, we emphasize the importance of effective time management and appropriate working styles for increasing productivity and efficiency at work, advising employees to work intensively and take adequate refreshing breaks. Increased efficiency is expected to help curtail overtime hours. We also promote the more active use of paid leave. The organizational approach includes training programs provided to all managers and top executives to familiarize them with personnel management affairs. Specific measures in place include a system in which checks are made with supervisors if their subordinates′ overtime exceeds the prescribed hours; Fresh UP Days, under which all staff in principle are encouraged to leave work on time on two common designated days of the week; and Effective Working Time, an upgraded version of the flex-time work shift system. To facilitate the use of paid leave, a range of measures have been implemented: setting aside specific days and months to encourage large numbers of employees to take such leave; offering leave on an hourly basis; and launching My Vacation Plan Five (MVP5) to promote a five-day consecutive leave period. 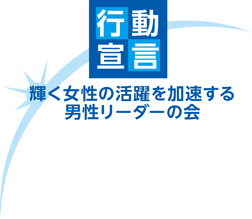 Ricoh Company, Ltd. in Japan signed on to the Women′s Empowerment Principles (WEPs) in February 2011, and also joined the Japanese Cabinet Office-led Declaration on Action by a group of male leaders who will create “ A Society in which Women Shine“ in February 2016. We accelerate the implementation of measures to promote women′s empowerment and encourage active roles for them as part of its efforts to facilitate diversity in the workplace. We pursue the theme of workforce diversity and work-life management as a key management strategy, believing that diversity will give rise to an inspiring workplace where individual workers are encouraged to fulfill their potential, thereby increasing the corporate value. As an essential diversity theme, we work to encourage the active involvement of female employees, focusing on raising the percentage of female managers. We have set a target of achieving 10% by 2020 at Ricoh Company, Ltd. in Japan and are carrying out a range of initiatives to develop personnel systematically and create an appropriate workplace. These have been progressing steadily toward the achievement of the target. Career forums for younger female workers to alleviate concerns about work-life management and raise awareness of issues related to career development in the early stage of their career. Training programs for managerial candidates to build the required mindsets and capabilities. Programs providing female managers with networking opportunities for the purpose of facilitating mutual support and broadening their horizons, and self-managed women′s programs, including workshops on specific topics, such as supporting the career development of younger women and revitalizing organizations, and activities aimed at offering value from the female point of view. Programs to support Group companies, mainly by introducing activities conducted by other companies within and outside of the Ricoh Group, and holding discussion meetings. In line with its founding principles of “Love your neighbor, love your country, love your work,“ Ricoh believes that all persons, with and without disabilities, should be given adequately fair treatment and opportunities to exploit their individual abilities to the full in the pursuit of self-fulfillment and meaningful work. Based on this belief, we have been proactively promoting the employment of disabled people and introducing to our sites, as necessary, access facilities such as ramps, accessible toilets, and dedicated parking spaces as well as specially designed work-related equipment. Ricoh Espoir K.K. is a special subsidiary of Ricoh that employs disabled people. Established in April 1994, the company was a pioneer in this field. It currently employs around 50 people with intellectual and other disabilities who work at Ricoh′s plants in Atsugi and Ebina. Espoir employees have been engaged in packaging replacement parts since the company was first established. Workers not only carry out tasks manually but also operate process machinery for part of the operation. Since machine operation by disabled workers is generally considered difficult, a host of companies thinking about introducing a similar plan have sent representatives to visit the plants, seeking to understand the pioneering model practices. Espoir has broadened its range of operation to undertake other tasks, including trash separation and disposal, delivery of internal mail, and cleaning at Group companies. The subsidiary works to support its employees in both their work and private lives, providing guidance on goal-setting to help them manage on a day-to-day basis. The firm also hosts events for employees and their families. Ricoh introduced re-employment programs for retired employees in the 1980s. Subsequently, as required by the revised Act for Stabilization of Employment of Older Persons of 2013, those programs were altered to re-employ workers who have reached the retirement age of 60 and wish to continue to be employed, offering opportunities to continue working at Ricoh up to the age of 65, in principle. We have developed appropriate systems for the treatment of re-employed workers in accordance with their job responsibilities and create a welcoming work environment for these eager and experienced workers. The re-employment programs are used by around 90% of eligible employees, who are keen to demonstrate their specialized knowledge and capabilities accumulated over the course of years to further contribute to the company′s growth. Ricoh's efforts to make its work environment comfortable for employees have attracted attention from external parties and have been positively received. Our continuing efforts will be focused on further improving the work environment so that all employees can enjoy working for the company. Ricoh was listed in the Diversity Management Selection 100, a new program run by the Ministryof Economy, Trade and Industry (METI) to recognize companies that actively foster workplacediversity and thereby increase their corporate value. METI kicked off the program in 2012 by citing 43 companies (out of 160 applicants) asdemonstrating best practices in diversity management, which has the potential to be a keydriver of growth. From 2013 onward, awards will be given to an aggregate of 100 companies. Among the reasons for Ricoh’s inclusion on the list is support programs for employees suchas our Career Recovery Program designed to prevent an employee’s evaluation or promotionfrom being adversely affected by family responsibilities necessitating leave or shorter working hours. Another reason is Ricoh’s efforts to raise the quality and quantity of opportunities for female employees so that they can maintain andadvance their careers. For example, a growing number of women aretaking overseas assignments offered to young employees by Ricoh’smarketing division. Female involvement has also contributed to thesuccess of CSR programs such as the Base-of-Pyramid business, inwhich a female approach to building and managing businesses hasbeen used to support the independence of women in disadvantagedcommunities. The Ikumen Award is a commendation project hosted by the Ministry of Health, Labour and Welfare to recognize enterprises that have implemented measures to facilitate the work-life balance of male employees, with a particular focus on parenting engagement. In October 2013, the Ministry announced the inaugural recipients of the award selected to receive a special commendation prize, with Ricoh among those named. The prize was offered in recognition of Ricoh′s systematic efforts to facilitate the use of childcare leave by male workers. Specific actions range from setting numerical targets and conducting ongoing promotional activities to providing encouragement directed at improving the utilization rate. These measures have effectively resulted in a steadily growing rate of utilization, indicating an increasing number of male employees, including those in managerial positions, sharing in parental duties. In June 2015, Ricoh was granted Platinum "Kurumin" certification by the Tokyo Labor Bureau, under the Ministry of Health, Labour and Welfare. This is a recognition project established in line with the revision of the Act on Advancement of Measures to Support Raising the Next-Generation of Children. Ricoh was selected to be one of the first Tokyo-based companies to obtain the special certification. The commendation was offered for an array of relevant actions, including Ricoh′s enhancement of its childcare support programs and introduction of My Vacation Plan Five (MVP5), a system to promote a five-day consecutive leave period, and Effective Working Time, an improved version of the flex-time work shift system, as well as the high rate at which childcare leave is used within the company. In April 2016, Ricoh Company, Ltd. in Japan was granted "Eruboshi" company certification by the Ministry of Health, Labour and Welfare based on the Act on Promotion of Women′s Participation and Advancement in the Workplace. We fully met the criteria requirements to obtain the highest of the three certification grades. The commendation was given to recognize an array of relevant actions, such as enhancing childcare support programs to effectively increase the length of women′s service, and carrying out positive action measures to support the career development of female workers and systems directed at increasing working style flexibility, including shorter work hours. At Ricoh USA "diversity" is much more than just an initiative: it's a way of life. 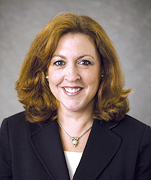 "Diversity is first a matter of ethics, but not only that," says Donna Venable, Executive Vice President, Human Resources at Ricoh USA, Inc. "More and more our valued customers want to know how our sales and services are structured around diversity. They are looking for a partner they are comfortable with. In that sense for us diversity is not just the right thing to do, it also makes good business sense." Underpinning all Ricoh USA’s diversity initiatives is The Diversity and Social Responsibility Council, which serves as an advisory board to senior management. One particularly powerful initiative, is something called "Supplier Diversity," which is both a strategic imperative and a competitive advantage for the company. Simply put Supplier Diversity consists in seeking and expanding partnerships with minority-owned, small, small-disadvantaged, woman-owned, veteran-owned, service-disabled-veteran-owned and HUBZone small businesses.